When I think of Holland two main things come to mind. These are: cycling and windmills. So when we had decided that Holland would be our next destination to visit I knew we had to go visit a windmill! Even better is that if you do go to visit the Kinderdijk Windmills, you get to see 19! Originally there were 20 windmills. However now there are just 19 windmills. They were built as the area was prone to flooding. So the people in the area decided to build the windmills to get rid of the excess water. The windmills are built on large bits of land surrounded by dikes. The remaining dry land is called polder. The windmills would pump water from one section to the next, which then the next lot of windmills would do the same. Nearly all the windmills have people living in them, which is really cool! Having people living in them meant the land could be kept dry and livable all year round. One of the empty ones is one that you can go inside (Museum Windmill Nederwaard). The Hoek family use to live there with 13 children. When you go inside you really wonder how they managed it! Big K loved exploring the windmill and really liked learning about how the family lived. The other windmill is called Museum Windmill Blokweer. This windmill is still working and has been turned into a museum which you can explore the downstairs only. There is also a visitors centre where you can watch a film; we didn’t see this as we were time restricted but is a must if you are there for more than a couple of hours. In 1868 the windmills received help from two pumping stations (The Wisboom pumping station) which now do all the work. Yes very child friendly, apart from climbing up inside the windmill. Even us adults found climbing up and down the ladders a bit scary! There are also some steps that lead up to the visitors centre. Apart from that everything is tarmac or path and okay for pushchairs. A great place to learn about the windmills and the history behind them (we always thought the windmills were used for milling). It is also a great photo opportunity that you should not miss! We really wish we could have spent more time there as we could easily have spent a few more hours there exploring. Have you ever been to the Kinderdijk Windmills? Thank you for commenting. Oh we never visited Zaanse Schans Windmills. They look beautiful! Will have to go see them when we go back again in the future! What a rich history these windmills have. 13 kids! Wow!! There’s something so attractive about traditional windmills though. It must have been a unique place to live. 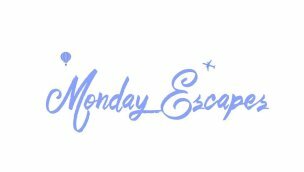 Thanks for linking up to the last #MondayEscapes of 2016. See you in 2017! Yes traditional windmills look so pretty. I don’t know how they managed to fit 13 kids in there though! I live 15 minutes from here…by bike. Such a nice place. Oh, you are so lucky to live so close! They are stunning!